Sinclair Knight Merz (SKM) is an engineering, sciences and project delivery company. 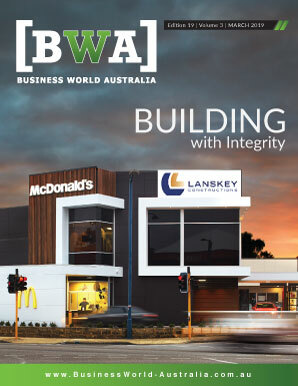 Founded in Australia it has offices in New Zealand, Europe, the Middle East, South America, and Asia. Its reach is truly wide, but what is very impressive is their capabilities. They are divided into four broad business units, which are Buildings and Infrastructure, Power and Energy, Mining and Metals, and Water and Environment. The cross over in some of these sectors has allowed SKM to develop unique services to their client base. 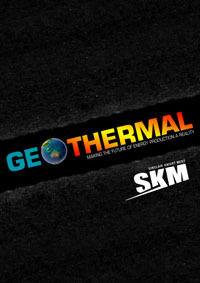 One of the most forward thinking divisions within the broad range of abilities that SKM has is their Geothermal Energy unit. Here, Dr Stephen Hinchliffe is their Geothermal Development Manager for Australia, and he sees great possibilities for this industry in both Australia and around the world. Dr Hinchliffe has over 18 years of experience in the renewable energy sector and has been working with SKM for almost 10 years. He has extensive experience in both project management and grid connections, which make him ideally suited for his role at SKM. “A significant amount of my work is what you would call strategic consultancy, supporting the development and evaluation of project concepts as well as undertaking the coordination of the development of a given project,” he says. “We are a fairly broad based project delivery, engineering and environmental consultancy, one of the areas of particular interest to the company is building sustainable projects,” says Dr Hinchliffe. 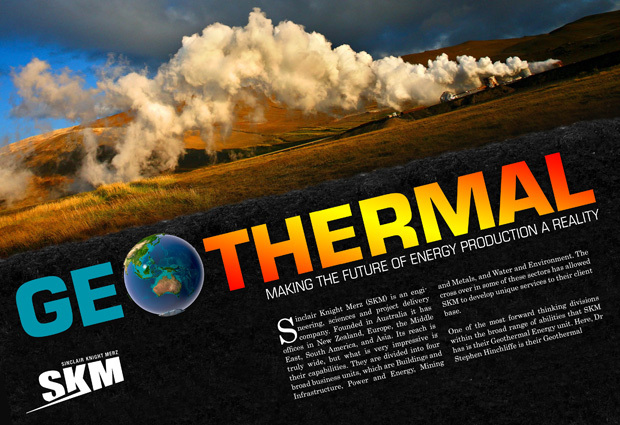 “The geothermal part of that is an integral part of that company focus. The main centre of excellence – as we call it – for geothermal project development support is in New Zealand,” he says, but points out that they have several offices containing geothermal consultants that allow them to operate internationally. “We have been for the last 30 years involved in about 50 per cent of all geothermal projects around the globe.” He says that this is because they can manage and work through an entire geothermal project from start to finish. “We can provide a wide suite of services from reservoir identification and development to above ground facilities design and delivery including environmental approval and network connection support,” says Dr Hinchliffe. Dr Hinchliffe sees that geothermal energy is an important aspect of the future of energy supply needs in both Australia and the world. He says that putting a value on carbon is inevitable, but it is not the only solution to the current carbon emission problem. “We need to build the mechanisms to support low carbon emissions projects, and this will be difficult, especially in Australia where renewable projects have to compete with abundant, low cost coal. In some parts of the world high temperature geothermal energy already is competitive but it all depends on the cost of alternative, base load, energy sources,” he says. Whilst putting a price on carbon in Australia will help, more is needed in the short term to support geothermal projects because Australia is pioneering medium temperature resources and has the opportunity to become a world leader in developing appropriate technology for this. Dr Hinchliffe thinks that direct funding support for emerging renewable energy schemes like medium temperature geothermal projects directly is still required in order to demonstrate to the market and investors the viability of such projects. He sees that the future of clean or greener energy production within Australia is dependent on a convergence of carbon free technologies as well as regulated traditional energy sources. The advantage he says with the geothermal route is that many of the skills sets associated with oil and gas exploration and production can be transferred, through synthesis of conventional geothermal energy techniques and knowledge to geothermal energy exploration and production. Also, and unlike other sources of renewable energy, geothermal is not dependant on intermittent energy sources such as weather or tide. It can produce reliable base load power into the grid 24 hours a day, 7 days a week. Dr Hinchliffe sees that the role that SKM plays in the development of this industry as important because of their wide ranging abilities in the management and support of other related sectors. “We help geothermal developers bring their projects to fruition, and as a company we are passionate about this role,” he says. He hopes that in the next few years that they will have a hand in creating several geothermal projects of commercial size operating in Australia, and that these will be making a significant contribution to its energy grid and reduction in carbon emissions.